"Ghastly," "digital cruelty" and "not a fan": Welcome to some of the reactions to Avril Lavigne's new music video. 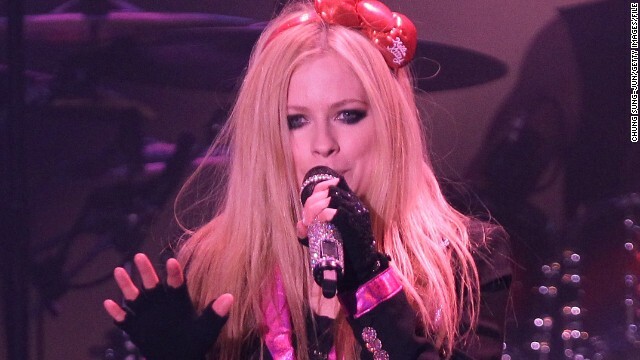 The singer released the companion clip for her single "Hello Kitty" on Tuesday, and much of the response can be summed up by Billboard's desperate plea of "Why Avril ... why?" The track itself is ... interesting, as Lavigne enthusiastically shout-sings about her adoration for a certain Kitty in a way that comes across as a double entendre although the singer swears it's also genuinely about her love for the Japanese brand. But something about Lavigne's affection has been seriously lost in translation for critics of her music video. In the clip, Lavigne romps around Tokyo with a quad of Asian backup dancers, going from a bedroom to a candy shop and then out for sake before parading through the streets and waving at passersby (the "hello" part of "Hello Kitty," we guess). The colorful, noisy onslaught has been too much to bear for some - GQ turned the video into a "test of stamina" - while others have pointed out its unsavory cultural appropriation. "There are serious questions about whether it’s offensive (expressionless Asian dancers, Tokyo-as-prop) or offensively obvious (this one’s for you, large Japanese fanbase! )," Entertainment Weekly observes. Billboard, which viewed Lavigne's troupe of dancers as "vaguely offensive," has marveled at the way the music video surpasses the song, and not in a good way. "'Hello Kitty' is the weakest song on Avril Lavigne's fifth studio album, a grating earworm that squeezes Gwen Stefani's Japan fetishization into an even more unseemly package," the music website says. "But in a lot of ways, its music video ... is an even bigger train-wreck than the track itself." Some of Lavigne's fans would beg to differ. Judging from the comments on the Canadian star's website, they find the clip for "Hello Kitty" to be "Perfeeeeeeeeeeeect." « Previous entry(Sometimes funny) Life lessons from Louis C.K.